In October 1982, the master of pop art, Andy Warhol, came to Hong Kong as a guest of Alfred Siu, an industrialist who was opening a nightclub in Central. The late American artist, whose pop art paintings of Chairman Mao remain among his most celebrated depictions, alongside those of Marilyn Monroe and Elvis Presley, stayed at the Mandarin Oriental's Room 1801 and partied with Hong Kong’s top socialites before a few days of sightseeing in Beijing ensued. Rare instance of Warhol completely at ease, mimicking Tai Chi practitioners inside Peking Hotel during his 1982 trip to China. Lot 14. 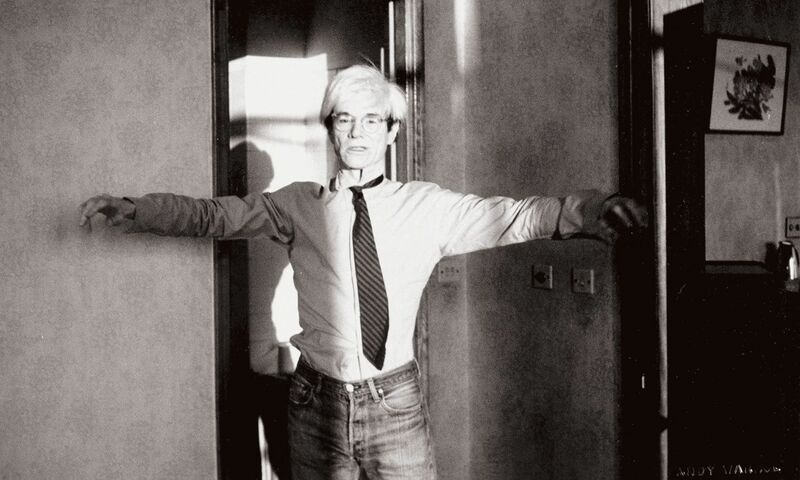 Andy Warhol, 1982. Estimate: HK$ 120,000 – 180,000. This little-mentioned trip was the source of the 200-plus unique and rare photographs and hand-drawn works that now form the Warhol in China exhibition which, for the first time, will be presented in their entirety and auctioned by Phillips at the Mandarin Oriental in Hong Kong on May 28. Bids are expected to start at HK$50,000 for shots featured in the prized collection, which includes photographs, unique stitched works, and three hand-painted pieces. 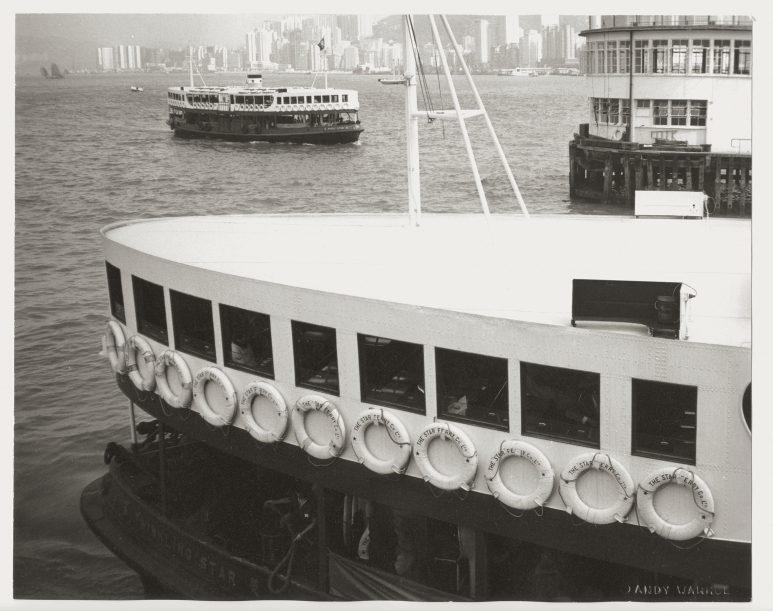 During his time here Warhol traveled to both sides of Hong Kong, and had a chance to take the Star Ferry. Lot 35. Hong Kong Harbour (Boats) [Ferry], 1982. Estimate: HK$ 80,000 – 120,000. 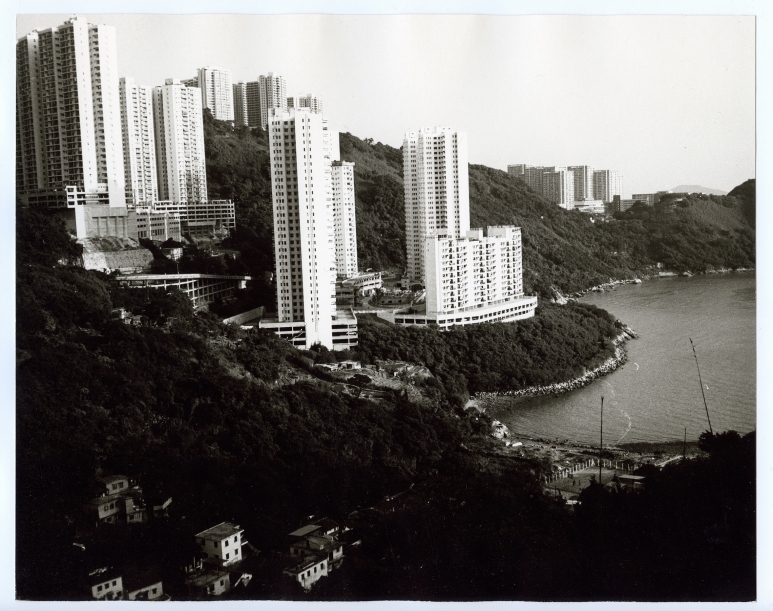 Warhol’s shot of Sandy Bay shows a beautiful contrast of the old and the new, fully capturing the transitional time of Hong Kong. Lot 45. Hong Kong, 1982. Estimate: HK$ 80,000 – 120,000. The collection will first be exhibited at a public preview, offering a rare opportunity to catch a glimpse of Hong Kong and Beijing through Warhol’s eyes. The unique series of photographs show everything from The Great Wall and Victoria Peak, to the most unassuming corners of Hong Kong and Beijing. Taken at a significant time, the photographs capture a developing China, one that was on the cusp of social and economic reform. This is coupled with Warhol’s new artistic development of stitched photography, which he began in 1982, the same year of his visit. Stitched image of Bellhop: this unique piece is amongst the earliest examples of Warhol’s stitching technique. Lot 29. 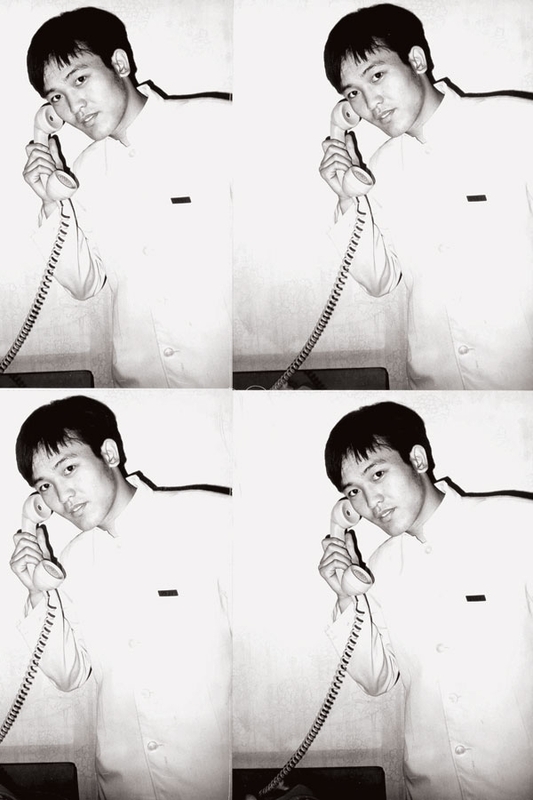 Chinese Bellhop, 1982-1987. Estimate: HK$ 80,000 – 120,000. 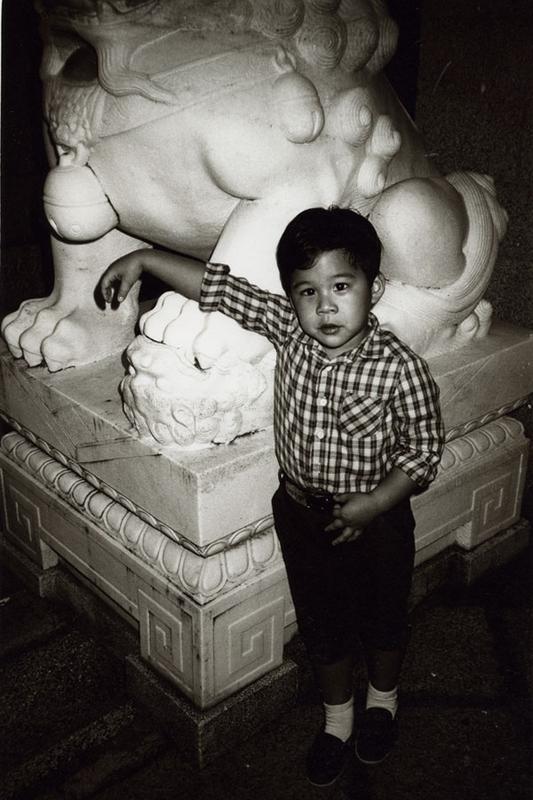 During Warhol’s visit in Hong Kong he visited the Foks and took many photos within the Stone Manor, including photographs of the beautiful Loletta Chu, as well as of Kenneth Fok, then a charming little boy. Lot 40. Boy and Stone Lion, 1982 (Group of Ten Works). Estimate: HK$ 350,000 – 550,000. “This auction presents a rare opportunity to acquire photographs of Andy Warhol’s seminal trip to Hong Kong and Beijing in 1982 by the master of Pop himself,” says Jonathan Crockett, head of 20th Century and Contemporary Art and Deputy Chairman for Phillips Asia.